Steve Turley thinks that Rod Dreher’s assessment of our post-Christian society somehow implies a narrative of increasing secularity that overlooks the important role of retraditionalization. But is Derher’s social justification really as misleading as Turley claims? I don’t think so, but before explaining why, it will be helpful to note that the word “secularism” is often used in the following three ways. Distinguishing these different uses can help to clear up misunderstanding. 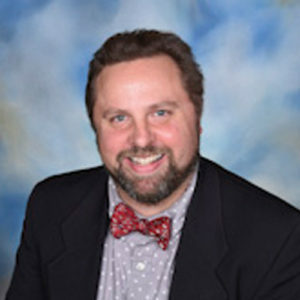 It becomes clear from reading Turley article that when he criticizes Dreher for “a social conception that is at best imprecise and at worst downright misleading”, it is because Turley is using the concept of retraditionalization to dispute secularism in the first of these three senses. However, when Dreher discusses secularism, he is usually doing so in the second and third senses of the term. This should be pretty obvious from even a cursory browse through TBO. In his book Dreher gave extensive examples of what he means by a secular post-Christian society, and it includes things like Christian being marginalized in public for a commitment to traditional marriage, churches losing sight of pillars such as historical heritage and accountability, increasingly virulent legal campaigns to force Christians to succumb to the radical LGBT agenda (which could soon be hitting the tax exempt status of our institutions), etc.. This is clearly secularism in the second and third sense, and is something that can be acknowledged as making inroads even within the context of a social theory that denies the growth of secularism in the first sense. Building on this last point, I would say that insofar as retraditionalization does not necessarily negate the presence of secularism in the second and third sense (but just the first), and insofar as secularism in the second and third senses are creating space for the types of institutionalized hostility towards Christians that Dreher diagnosis (see above example), it therefore follows that the social phenomenon of retraditionalization does not undercut the conceptual basis for TBO. In fact, I will go further. If the pseudo-conservative identity politics behind the Trump phenomenon is anything to go by (echoed as it is throughout Europe with the growth of new forms of far-right ethno-nationalism), there is good reason to think that the emerging climate of retraditionalization could be one of different groups competing for power within the context of an increasingly polarized and virulent atmosphere of tribalism. Within such a context, it is entirely plausible that secularism in the second and third senses will become a reality parallel with–and in some senses as a symptom of–increasing retraditionalization, thus further fortifying the conceptual basis for TBO. Finally, what are we to make of Turley’s contention that TBO represents a strategic withdrawal by Christians from our modern secular culture? I’m afraid this is a gross misunderstanding of what Dreher has actually written in The Benedict Option. Dreher has been extremely clear that he is not advocating retreat, but simply a change in tactics in how Christians approach the, so called, culture wars. Dreher’s appropriation of St. Benedict’s legacy is entirely one of cultural engagement rather than retreat, but an engagement that takes seriously where the church’s resources can best be consolidated. Jared Stradt lucidly made this point in his article “Stop Misunderstanding the Benedict Option.” I’ll close with Stradt’s words, which make an excellent antidote to Turley’s misunderstanding of TBO. 1) Given the profound crisis of culture (which has affected the Church as well), we cannot look to mainstream institutions for our future. 2) Rather, we need to form intentional communities that more fully embody our Christian faith and in which we are willing to face the consequences of going against the stream. 3) It is from such institutions that real cultural change will occur. Thus, the Benedict Option is all about being active and engaging the problems of society. It recognizes, however, that solutions will begin locally, in the relationships that we can influence. Rebuilding will begin there. Thank you for your interaction with my piece on TBO. I appreciate very much the richness of your cultural exegesis and writings, and I’m flattered to have been highlighted among them. Having said that, I’m sorry to say that I detect a rather significant misreading of my piece. Let me begin with TBO itself. You assert at the end that “Turley’s contention that TBO represents a strategic withdrawal by Christians from our modern secular culture” is a “gross misunderstanding of what Dreher has actually written in [TBO].” The problem here is that I attempted to paraphrase precisely what Dreher himself has actually written (see the phrase ‘strategic withdrawal’ on p. 2 of TBO; and cf. 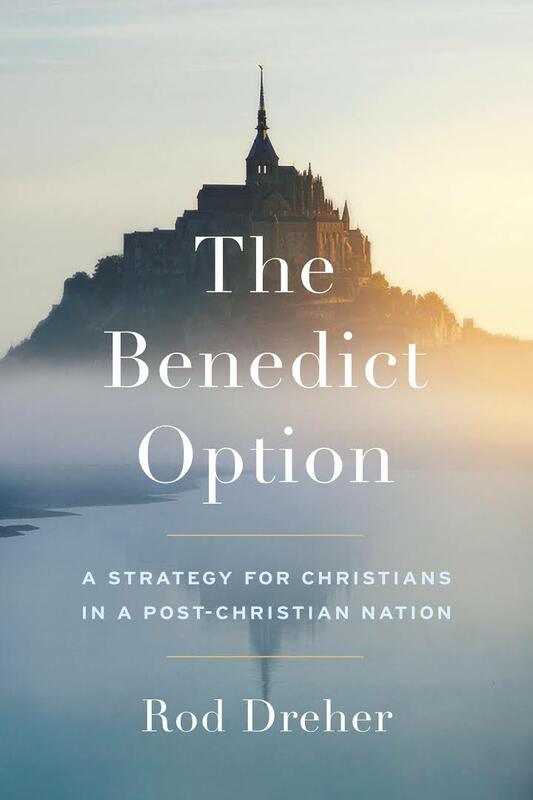 “What I call the Benedict Option is this: a limited, strategic withdrawal of Christians from the mainstream of American popular culture.”). I then explicitly linked this withdrawal to Dreher’s own reference to the Czech dissidents Vaclev Havel’s and Vaclev Benda’s notion of a ‘parallel polis’ (see TBO pp. 93-4), which asserts (in its original Soviet context) that the only way to engage a society that has denied truth was to foster pockets of ‘civil societies’, shared lifeworlds of responsible individuals who could govern their own conduct in an authentically moral way, and thus, ‘live in truth’ for the benefit of the society as a whole. Havel of course went on to become president of the Czech Republic. Please note: I have never stated, implicitly or explicitly, either in the cited piece or in any of my wider writings and videos, that Dreher advocates a form of escapism or retreat. I know others have said and written that, but that’s certainly not my assessment. Thus, your assertion that my assessment of Dreher’s argument is a “gross misunderstanding” is, well, a gross misunderstanding. Unfortunately, this misreading leaked into other parts of your piece, such as when you write: “If we were to agree with Turley about the inappropriateness of strategic withdrawal….. ” But again, note, I never said strategic withdrawal was inappropriate, nor did I insinuate that Dreher’s “practical schemas … must therefore be eschewed.” My failure to venture into such “waters” as you called it was therefore simply a matter of my reluctance to fish after red herrings. But more to the point: after delineating in a Tayloresque fashion three definitions of the term ‘secularism’, you assert: “It becomes clear from reading Turley[’s] article … Turley is using the concept of retraditionalization to dispute secularism in the first of these three senses.” Well, that’s certainly not clear to me; indeed I use the terms ‘retraditionalization’ and ‘secular’/‘secularized’/‘secularization’ in a number of related senses, entailing variant levels of individual, practical, institutional, social, political, and global application throughout the piece. But then you go on to state that the co-existence of retraditionalization and secularism ends up “further fortifying” the conceptual basis for TBO, overlooking the entire undercutting point that retraditionalization is not happening solely at or specific to the local level. And this, as I call it, is Dreher’s post-secular problem. Post-secular theorists have observed forms of retraditionalization at virtually every social level (micro, meso, macro, mega) resulting in a variegated de-secularization of society. This observation contradicts TBO notion that translocal dynamics or so-called mainstream institutions are no longer, because of the deluge of secularism, a source for societal renewal (as per point 1 of Stradt’s basis for TBO). Unlike the Soviet context of Havel’s and Benda’s parallel polis, our age is marked by an extraordinary multi-level backlash against secularization that includes TBO but is in nowise limited to such, thus undermining Dreher’s propensity towards an either/or frame. Hence my critique of TBO:  Dreher’s lack of any critical social ontology fails to justify his claim that our contemporary secularity largely limits societal solutions to Christian localism, and  the advent of multi-level post-secular dynamics calls the veracity of such local-specific claims into question. Thanks for the opportunity to clarify my thoughts on this. I very much look forward to your future writings. This entry was posted in Benedict Option, Rod Dreher, Steve Turley by Robin Phillips. Bookmark the permalink.